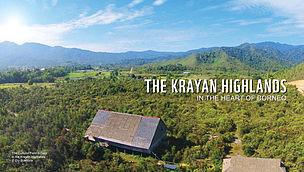 The Krayan Highlands in the Heart of Borneo offer enchanting views. Gentle slopes covered with dense forest and wide valleys interlaced with traditional paddies, gardens and fruit groves, create a unique and pleasant landscape. The Krayan Highlands in North Kalimantan lie right at the border with Sarawak and Sabah (Malaysia) and are divided into five sub-districts in the District of Nunukan, Indonesia. They form one geographical-ecocultural landscape with the Highlands of Bario, Ba’ Kelalan (Sarawak), and Ulu Padas (Sabah). Long Bawan is the biggest center and the main destination of flights from the coastal towns of Nunukan, Tarakan, and Malinau. 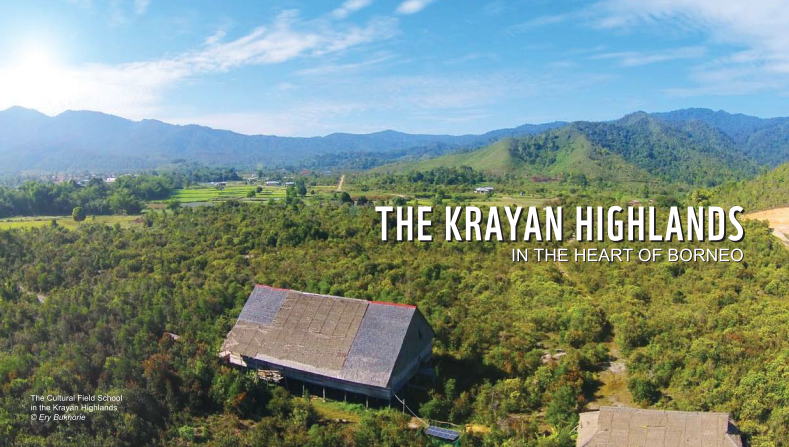 The Krayan Highlands can also be reached by road from Ba’ Kelalan (Sarawak) across the international border.